The South Australian State Government has engaged a team led by Tierra Environment to provide environmental services for the redevelopment of a 41ha portion of the Tonsley Park site. The State Government released a master plan for the Tonsley Park Development in March 2012, which sets out the creation of 6300 jobs over 20 years through $1 billion in private investment. The redevelopment master plan is available here. 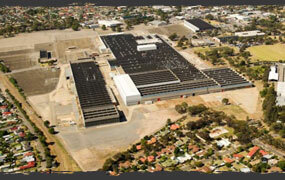 The 61-hectare site is the former Mitsubishi Motors manufacturing site in southern metropolitan Adelaide.